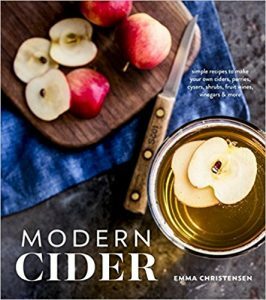 As an avid home brewer of wines and ciders, I was excited to read an ARC copy of Modern Cider: Simple Recipes to Make Your Own Ciders, Perries, Cysers, Shrubs, Fruit Wines, Vinegars, and More, by Emma Christensen, through Net Galley. 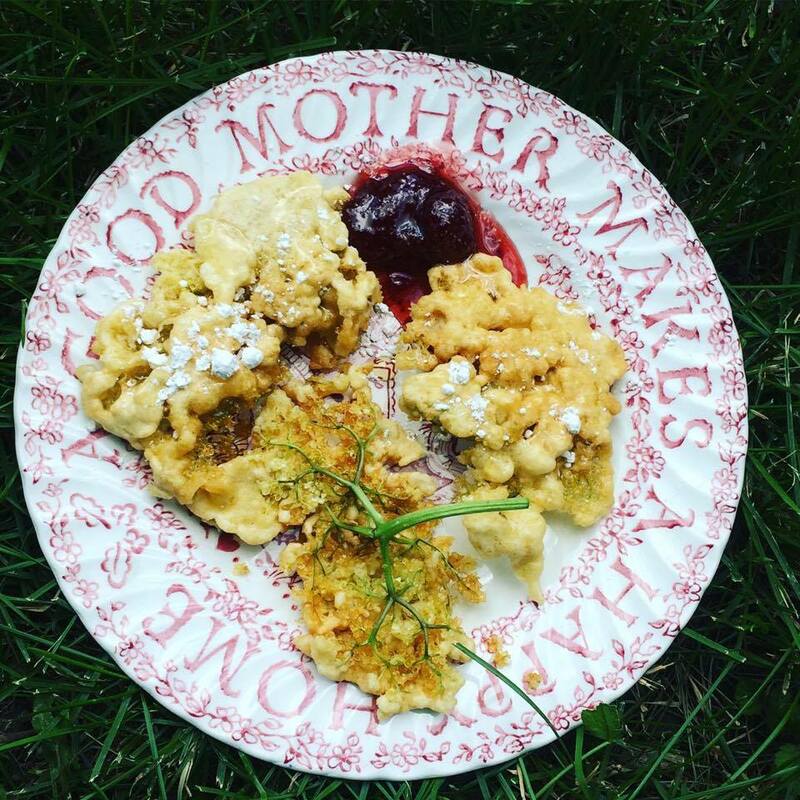 I am always looking for more recipes and for ideas to simplify the process. Unfortunately, this book was exactly the opposite of what I was looking for. It turns out that “modern” is another way of saying, “full of chemicals and not traditional.” It’s true that this book does give you detailed instructions on how to make modern cider: It involves buying purchased juices (or a prohibitively expensive bunch of specific fresh apples — the author reminds you that you need 20 pounds of apples for a gallon of cider), killing all wild yeasts and everything alive in them with sulfites (campden tablets), adding chemicals and additives to adjust flavors and tannin levels, using expensive equipment to ferment and transfer it all, testing specific gravity with a hydrometer, and then bottling with purchased bottles. Yes, you can make cider that way, but it’s expensive, unhealthy, and takes all the fun out of it. The first time I made hard cider, it was following the instructions of a little self-published Kindle book that was free for a day: Making Hard Cider: Cheap, Easy and Safe Methods for DIY Home Production (this book is no longer available on Amazon or anywhere that I’ve been able to find). Since we don’t have an apple press and they are quite expensive, I ended up buying an inexpensive Hamilton Beach “Big Mouth” juicer that worked quite well. That book gave us all that we needed to get started and succeed. 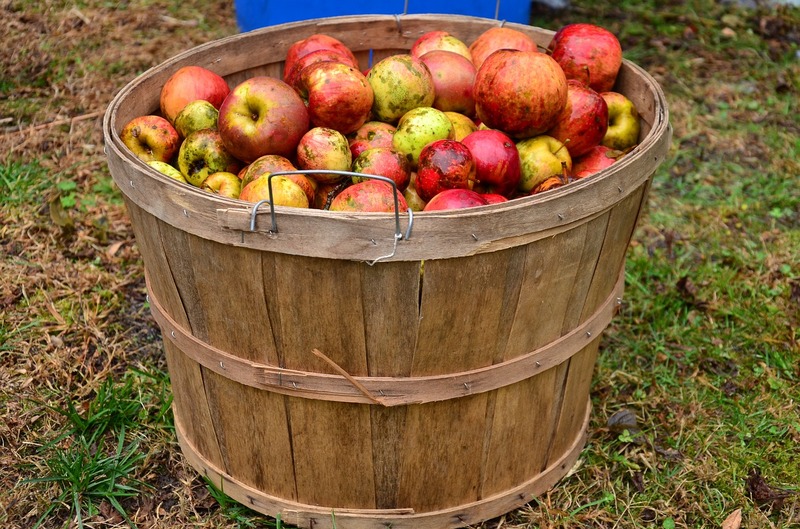 It was simple, old school, and allowed us to make absolutely delicious hard cider (regular and high alcohol) with pounds and pounds of apples that we got free from foraging rural county parks and from people all over the county who had back yard apples that they were happy to give away. When we first started making homemade ciders and wines, we used campden tablets and purchased yeast, but lately I’ve been more and more interested in healthier, cheaper, simpler and more interesting versions with the wild yeasts that are naturally on the fruits (and added sometimes through raisins and other fruits that you can add). While I still often add cider yeast, wine yeast or even champagne yeast to my wild wines and ciders, I don’t want to add sulfites and chemicals to my drinks. I also don’t want to use pasteurized juice grown thousands of miles away and shipped here. And I don’t want to make hard cider with a process that ultimately costs me far more to make it myself than to buy it in the store. 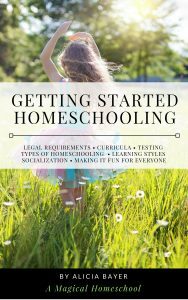 I realize that I am not the intended reader of this book, but there were parts that were so frustrating for me as a forager and urban homesteader. The author points out that a good cider requires a mix of types of apples and especially includes some high-tannin sorts of apples and pears that are not good for eating. This is why she adds various store-bought tannin additives. What a wasted opportunity to use free or inexpensive real foods! First of all, old school cider makers often wanted to adjust tannin levels too and would use things like black tea (which is naturally high in tannins). Secondly, all of those apples that folks like Johnny Appleseed planted all over the country were not planted for fresh eating (apple trees from seed will not taste like the parent and are always a crap shoot, so they rarely are the sweet apples we crave for snacks or baking) but for livestock feed and for making cider. There are apple and pear trees everywhere that have fruit that goes to waste because it’s astringent and ugly looking, but it makes awesome cider. Even crab apples are great additions for this reason, and there are crab apple trees everywhere. 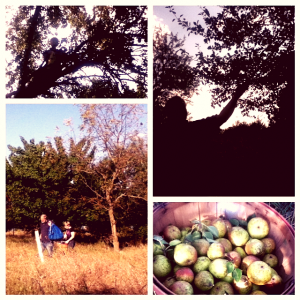 We have a pear tree that we pick in a nearby county park that is clearly part of an old homestead that’s long gone. There’s no sign of even a foundation anymore, but the land has apple trees, pear trees and even peonies and rhubarb growing among the native plants and they were all clearly planted there to enrich the lives of a family who lived there long ago. 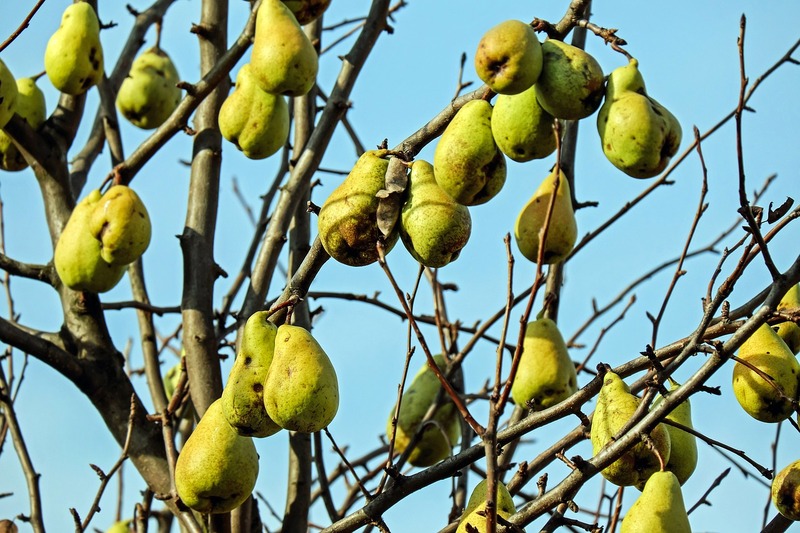 The pears on one of the trees taste absolutely awful fresh but are perfect for adding to cider (pear cider is called perry, incidentally, and these trees were once quite prized). We call it “our” perry tree since nobody else has ever shown any sign of wanting anything to do with anything that grows on it. I felt bad about giving this book a low review but it’s currently rated 5 stars on Amazon and 4.5 stars on Goodreads, and has plenty of people raving about it. It’ll do just fine despite me, and should. Modern Cider is a great book for some people, just not for me. 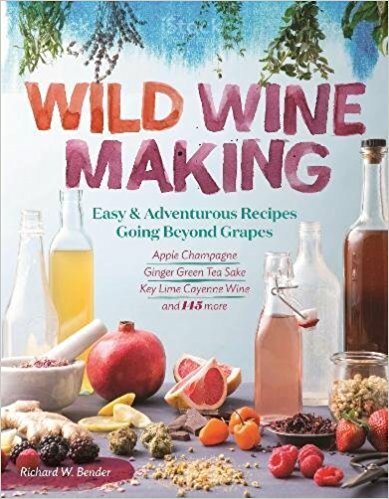 If you’d like a great book that does tell you how to make wines, ciders and perries the old school way (but with modern help), I highly recommend the book Wild Winemaking. 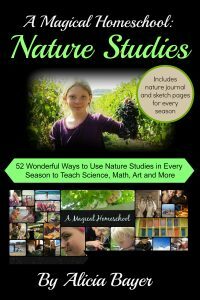 It includes oodles of delicious recipes and full color photos, without all the added chemicals. I was able to read a temporary digital copy of Wild Winemaking through Net Galley and it’s one of my favorite books that I’ve ever read through them. 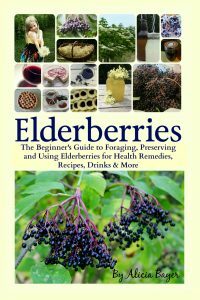 It includes oodles of recipes for making wine from ingredients like fruits, greens and flowers. 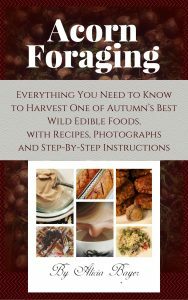 Since you know our family forages for all kinds of wild fruits and other wild foods, this automatically appealed to me. The author doesn’t use additives like campden tablets (sulfites), making a more natural, healthier wine. The instructions are simple. I have experience making wines and hard cider, but even if I didn’t I think I would feel comfortable trying these recipes. The recipes are creative. There are standard ones and also ones that use spice and all kinds of combinations of fruits, herbs and flowers. It’s colorful, gorgeous and just fun. I liked this book so much that I am planning to purchase my own copy. I am cheap (I like to say frugal) so this is saying a lot! 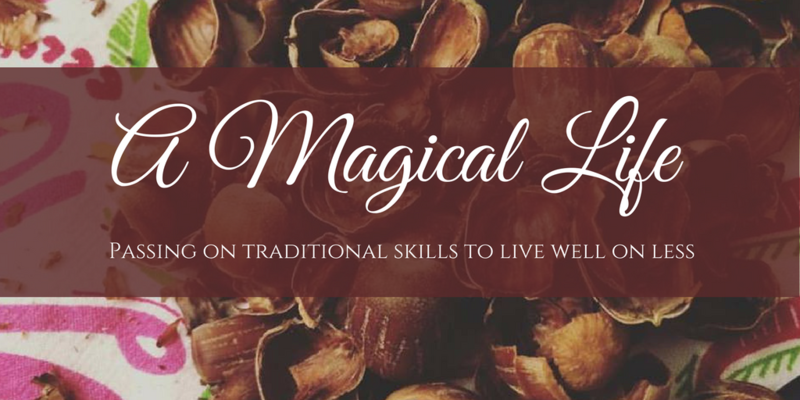 The Wildcrafting Brewer: Creating Unique Drinks and Boozy Concoctions from Nature’s Ingredients is another that’s on my wish list (psst… that would make a great present, Daryl!). I am hoping that “modern” begins to move back towards more natural and sustainable practices, and that modern home brewed cider can soon also mean foraging your own fruits, using the stuff in your own back yard and neighborhood, and relying less on chemicals and additives in everything we eat or drink.